Alexandra Yanoff is an Associate with RKF specializing in both landlord and tenant representation in New York City. She began her career with RKF in 2014 as a Canvasser. 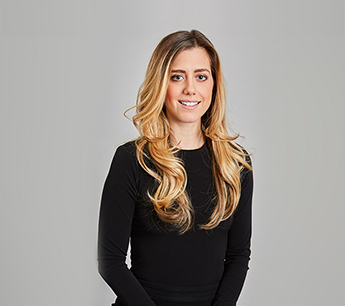 Since being promoted to associate, Alexandra has worked on behalf of many landlords, including Carnegie Hill Properties, Robert D. Wasserman, Heller Properties and Millennium Partners. Her retail client roster includes Loeffler Randal, Inscape, Two Forks, Citibank and Lacoste, among others. Alexandra earned a Bachelor of Arts Degree in Sociology and Business from The George Washington University. She is a licensed Real Estate Salesperson in the state of New York and a member of the International Council of Shopping Centers.